Who? 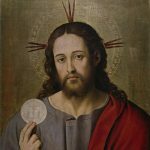 Those (18 & older) that have not yet received the Sacrament of Confirmation. When? Starting towards the end of Lent. 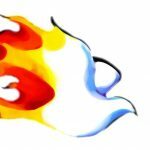 The Rite of Confirmation for Adults will take place on Pentecost Sunday, June 9th. Prayer Lines are the only place where women forced into an abortion meet YOU, the Pro-Life representative, and where the woman and her child are saved from an abortion. … and give them a visible sign of hope as they approach the facility. … and give them a sign of mercy. We PRAY for the workers at the clinic…. … and give them a sign of truth. Does your child have a passion for orchestral music? 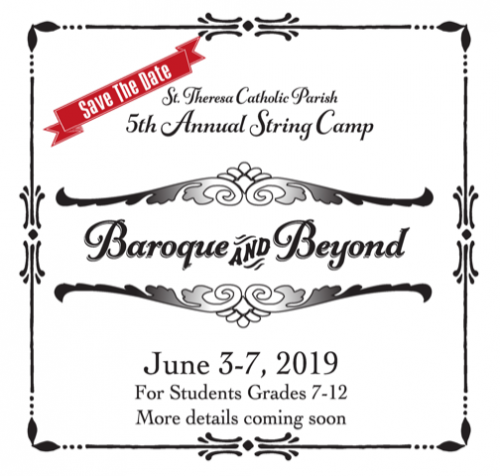 Let your son or daughter experience St. Theresa’s engaging and exciting annual String Camp. This exciting camp offers students the opportunity to engage with exemplary specialists of violin, viola and cello. Students will participate in large ensembles, chamber ensembles, private lessons, master classes, and student conducting. These experiences will help them further bloom into polished and skillful musicians. Students will also be able to have discussions with the clinicians to gain a fuller understanding of choosing music as a career. String Camp concludes with a performance. 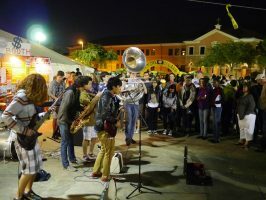 This concert provides students a unique opportunity of performing in a professional setting for a live audience. 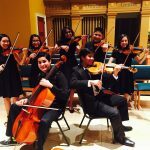 This experience will demonstrate their accomplishments and will inspire their future musical journey. Late Registrations may be accepted if space is still available, with an additional $50 late fee. The camp is for string-playing students — violin, viola, cello, and double bass — entering grades 7-12. When String Camp begins, students will be informally evaluated for their chair placements. Students are responsible for providing their own instrument in good working order. Applications must include the Liability and Consent forms which can be downloaded below. A letter of recommendation from a music teacher, instructor or director is requested. Tuition is $350 per student. Tuition includes all music for the camp, a String Camp tote bag, lunch served Monday-Thursday, and dinner on Friday evening. We are passionate about helping students attend our camp and are excited to offer a limited number of need-based scholarships. Join other parishioners for a rare and FREE opportunity to learn Latin basics under the guidance of our own Dr. Klumpenhouwer (Saint Theresa Catholic School). He will teach a four-week introductory course on the language. 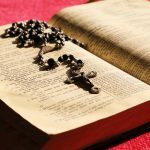 The goal of this course is to help you pray the Mass. Classes will be held in the Family Life Center (Gym) – St. Catherine Room Tuesdays at 7:00 p.m.
We need your help! Saint Theresa’s asks you to consider a wonderful and rewarding way to share your time and gifts. Our parish needs Extra-ordinary Ministers of Holy Communion to serve the three hospitals and ten assisted living facilities under our care. The patients and residents are unable to join us for Mass, so WE go to THEM. Each week, we visit these facilities, bringing the Eucharist and the latest bulletin to each small Catholic population. We need more volunteers. We need you! Requirements: Be a practicing Catholic, baptized & confirmed. Time involved: Approximately one hour twice a month; weekend or weekday. Goal: It is our goal to have enough volunteers assigned to each facility so that the schedule can be spread out and no one is expected to do more than he/she can comfortably cover. We need substitutes as well, so if you can’t commit to a regular schedule, please receive the training so you can assist when we need someone to cover. If everyone does something, no one has to do everything. Please call or text Kate Barton at (281) 250-1347 with any questions you may have, or to set up a time to join her at a Communion Service (her number is also in the bulletin under Pastoral Care). Domestic Church is the family branch of the Light-Life Movement founded in Poland by Venerable Servant of God, Fr. Franciszek Blachnicki (1921- 1987) with the guidance and support of his bishop, Karol Wojtyła (Pope St. John Paul II). 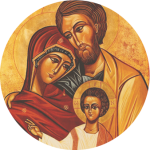 Domestic Church is a movement for sacramentally married Catholic couples and families who want to grow in mutual love and pursue sanctity together. The Movement helps spouses in building true unity and in creating a truly Christian environment for bringing up children. 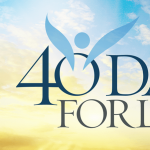 It provides lifelong formation in personal, marital and family spirituality. Join us for a Bible Study for Adults beginning with the Gospel of John. We will meet every 2nd and 4th Thursday from 7:00pm – 8:30pm in the Youth Lounge. Light Refreshments will be available. Bring a Bible (Catholic translation preferred—NAB, NJB, etc.). Questions? Contact Joseph Mastrangelo (joseph@sugarlandcatholic.com or 281-494-1156). 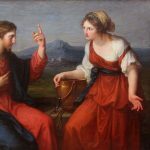 If you are seventeen years of age or older and are: unbaptized, baptized in another faith community, or a baptized Catholic who has never received your First Holy Communion, then the Rite of Christian Initiation for Adults (RCIA) is for you! You may begin the process at any time during the year. Free babysitting is available upon request. Bring your spouse or friend, if you’d like. These informal gatherings are structured to answer your questions about the Catholic Church. The RCIA team is ready to walk your journey of faith with you. Contact Lynda Knoche at 281-450-1400 or by e-mail: lynda@sugarlandcatholic.com. If you, your child or someone you know is between the ages of seven and sixteen, not baptized or baptized in another faith community, we have an RCIA process suited to your age group. Inquiry sessions are every Wednesday at 6:30 p.m. Please schedule an appointment with Paul Stoessel via phone (281-494-1156) or e-mail (paul@sugarlandcatholic.com) prior to attending your first session. Spread the Good News to children by volunteering to help with Elementary or Middle School CCE. To learn more, please contact Paul Stoessel, the director of Middle School CCE, at paul@sugarlandcatholic.com. Applications to St. Theresa Catholic School for the 2018-2019 and 2019-2020 school year are now open. 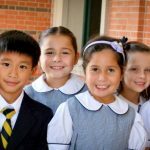 Contact the school office at 281-494-1157 to request application materials or visit our website at sttheresacatholicschool.org. If you would like to learn more about STCS, feel free to drop by the school office. We look forward to meeting you. 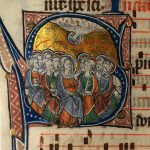 FORMED – Free Catholic Digital Content! THE CATHOLIC FAITH. ON DEMAND. MOVIES, TALKS, BOOKS, AND MORE! The best Catholic content. All in one place. It’s EASY and FREE to Register! Enjoy and share with others in our local community!